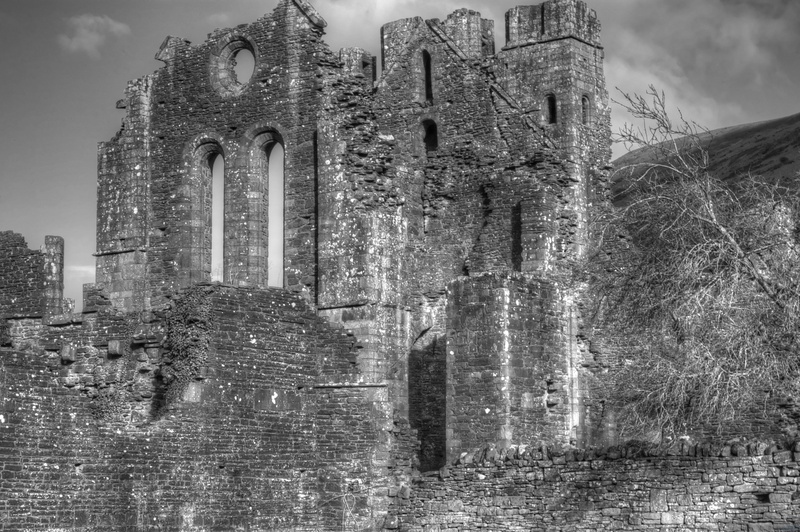 Llanthony Priory sits in the Black Mountains, nestling in the Vale of Eywas in a peaceful and secluded setting. This is a former Augustinian priory, founded sometime around 1100. An ancient track runs up the vale, from Abergavenny, over the Gospel Pass, before descending down to Hay-on-Wye. The place is a ruin now, suffering the fate of so many buildings after the Dissolution of the Monasteries in 1538.